Parisian tea salon Mariage Frères has landed in London and it’s made quite the effort. 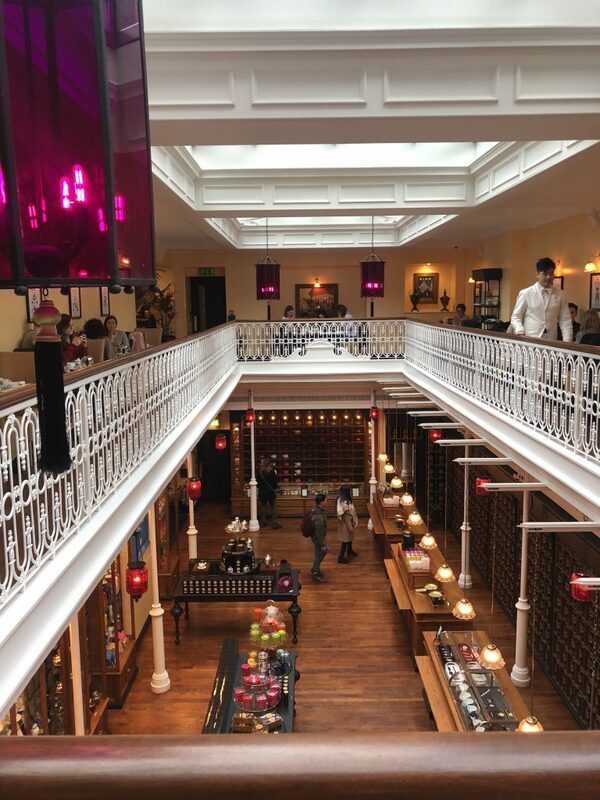 Located in the heart of Covent Garden, the space has a tea museum, the longest tea wall in the world and serves 600 teas by the pot and to take away – we went all out with a builders (a posh one at that) but there is literally every single tea you could ever think of and more. 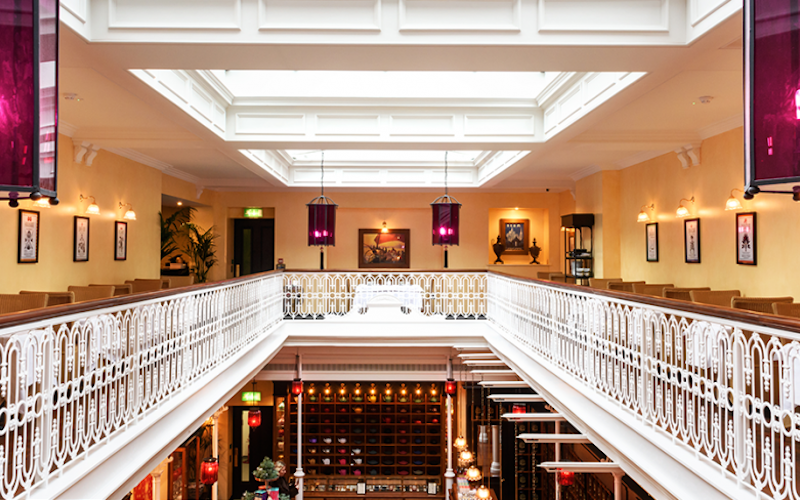 Downstairs is more of a shop whilst upstairs is a restaurant serving tea-infused dishes. It’s decked out to look like it’s been there forever and the old-school uniforms make it feel in line with the likes of the Savoy and Ritz. It all feels a bit old worldly – in a good way. We sampled some interesting guacamole with matcha, a very healthy salmon dish with spinach and matcha sauce, and some warm scones but the highlight is really the cakes. There are two trolleys filled with sweet treats to choose from and more on the menu too. 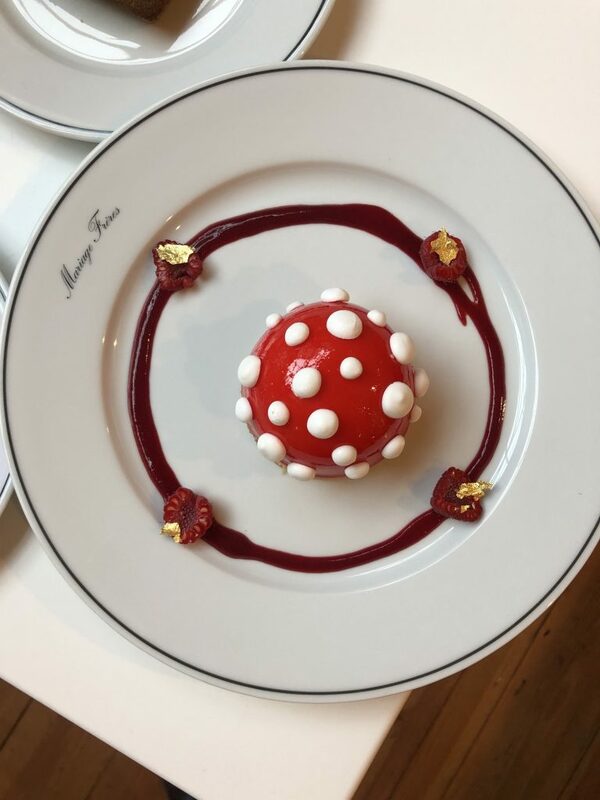 The ‘rouge in love’ with red tea-candied strawberry that looks like the mario mushroom but tastes like HEAVEN and the 24 karat gold leaf covered dark chocolate mousse flavoured with black magic tea, salted caramel middle and redcurrant coulis were our favourites. 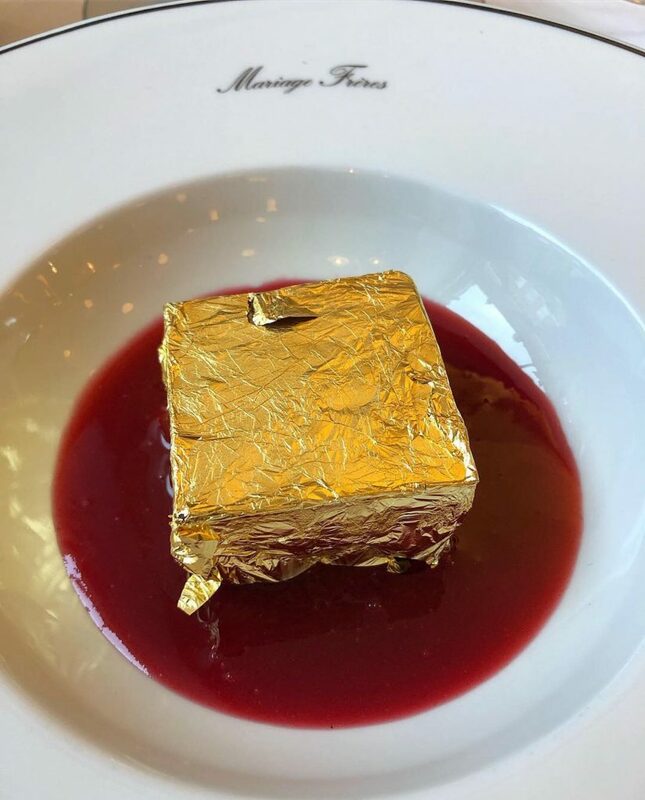 It’s not cheap but it’s an experience and you’ve got to treat yourself every now and again right? A great place to take the rents or go with the girls.